sonamy sonic riders. sonamy 4ever. HD Wallpaper and background images in the SonAmy club tagged: sonamy amy sonic. This SonAmy photo contains animado, cómic, manga, historieta, anime, and dibujos animados. 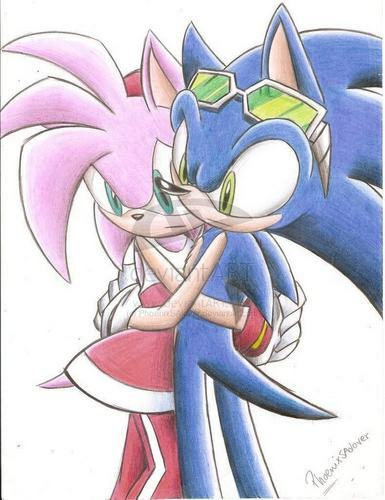 Amy and Sonic look soooo adorible together!!!!!!!!! I wish this was a cut scene in the actual Sonic Riders game. @Raccoongirl157 I wish this was a cut scene in the game 2!